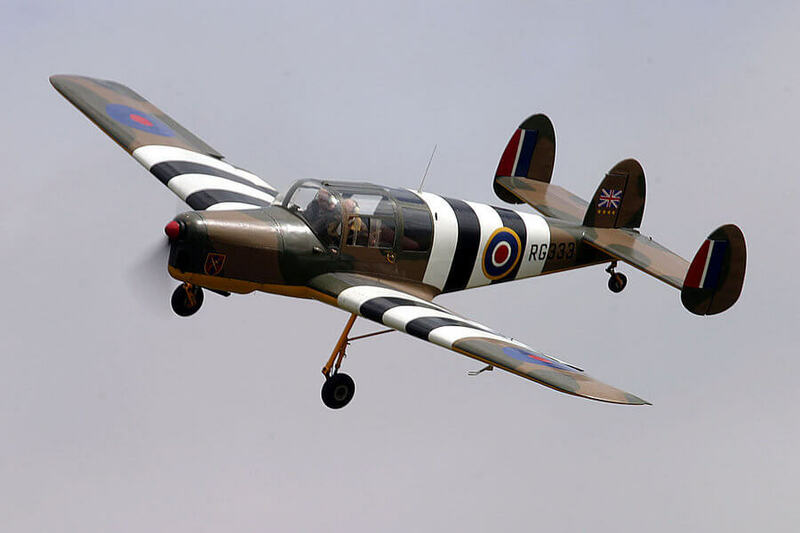 The Howard Aircraft Company was formed in 1936 to build commercial derivatives of the Howard DGA-6 four seat racing aircraft which won both the Bendix and Thomson trophies in 1935, the only aircraft to win both races. 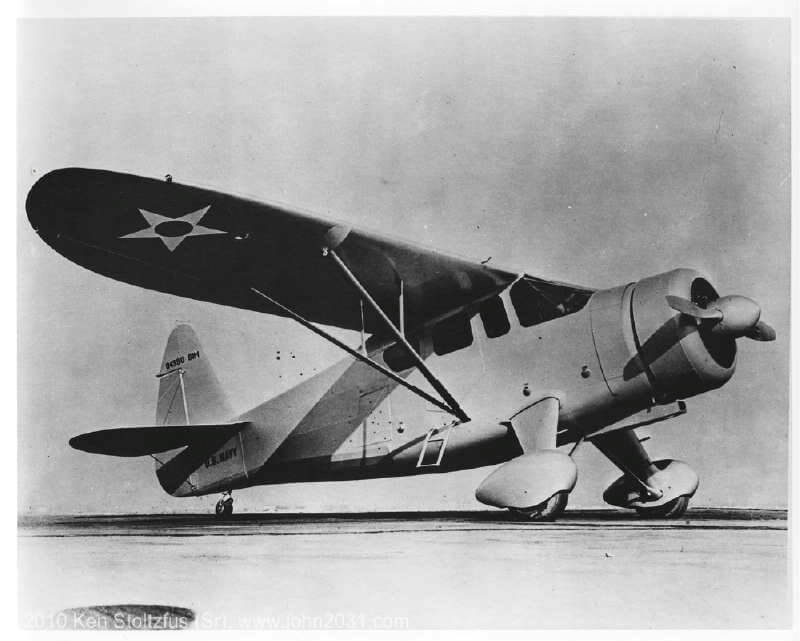 In 1939, the company produced the DGA-15, an enlarged and improved version, which could cruise at the same speed as contemporary airliners, with good range and comfort. Around 80 had been produced prior to the USA entering WW2 in 1941 and most were subsequently impressed into military service. 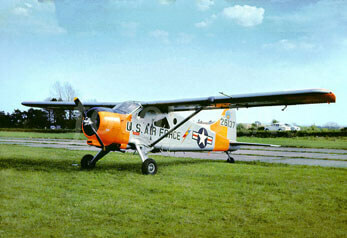 The US Navy especially liked the aircraft and ordered several hundred more as liaison aircraft (GH-1), ambulance aircraft (GH-2) and instrument trainers (NH-1). A total of around 520 had been built when production ended in 1944. 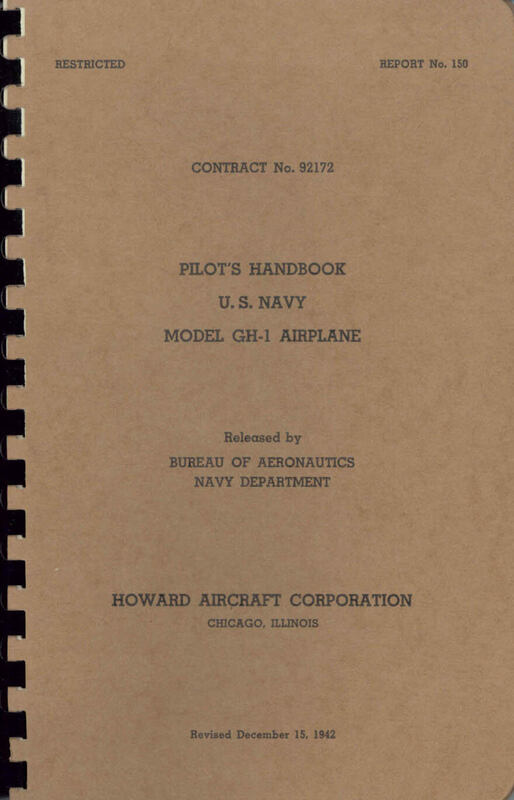 This title contains four flight manuals for various military variants of the Howard series, and a manufacturers brochure for the 1940 civil series. The files have been scanned from the original flight manuals and retain any colour pages. 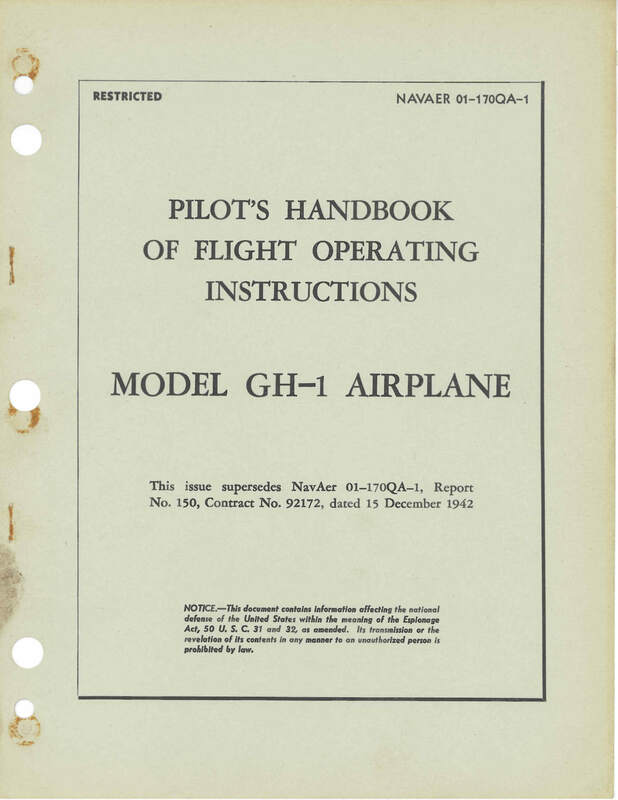 US Navy Pilots Handbook of Flight Operating Instructions for the GH-1, Nav Aer 01-170QA-1 dated June 1, 1944 with 15 pages. 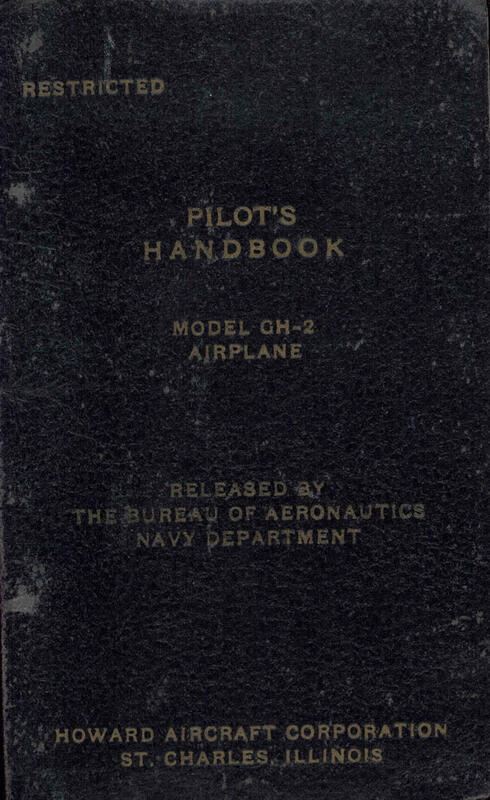 US Navy Pilots Handbook for the GH-2, Nav Aer 01-170QB-1 dated March 1, 1944 with approx 56 pages. 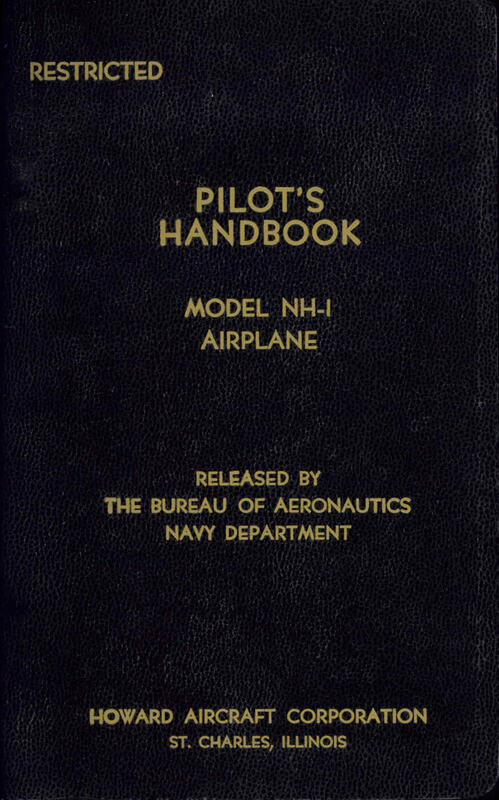 US Navy Pilots Handbook for the NH-1, Nav Aer 01-170RA-1 dated June 22, 1943 with approx 51 pages. Manufacturers brochure for the 1940 Howard civil series, titled “The Howard Aircrafter” with approx 15 pages.